Ashram Road, Ahmedabad, India 380009. A LOLStars Comedy night promises you an evening of the finest comics giving you new comedy, which is guaranteed to leave you red in the face and give your abs a good workout. 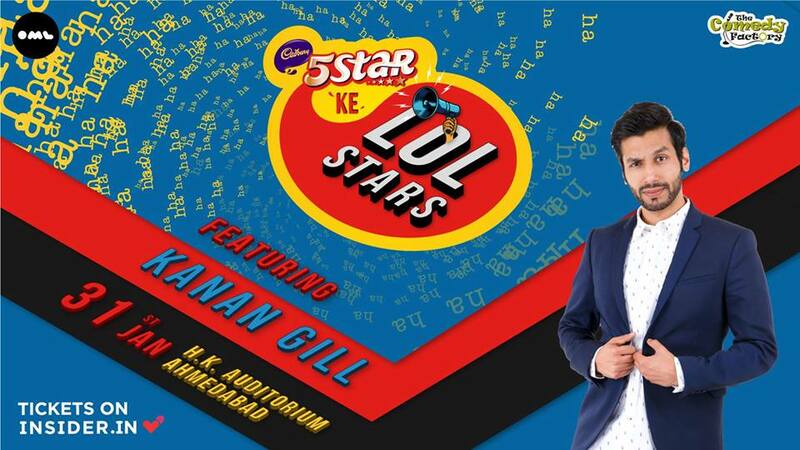 With his razor-sharp wit, Kanan is one of India’s most popular sketch and stand-up comedians in the country. The Mumbai-based comic has performed over a 1000 shows around the world and his recent comedy special, Keep It Real, was received with rave reviews. This show has dynamic price range. Phase 1 tickets are live at just Rs. 499/- per ticket for all the seats in the auditorium. It will increase in the next phase and then come down again when last bunch of the tickets are left.